Jim Berry started out in the Real Estate business in the Houston area in 1967 as an independent broker. It was only a short time before he purchased four franchises from Century 21. By 1975, he had three office locations and 120 agents. 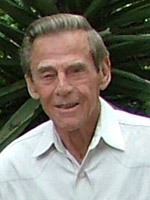 Jim moved to the Hill Country in 1977 and started a Century 21 office in Burnet with his remaining franchise. 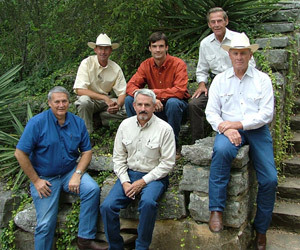 In 1982, Jim started Jim Berry Hill Country Ranch Sales as an independent broker. The distinctive Company logo has an interesting story….. There was a lot of thought behind the creation of this logo. Being raised in the flat terrain around the Houston area, Jim had an appreciation for the Hill Country landscape that he wanted to incorporate in his theme. As a country boy growing up on a farm, Jim was used to hard work and part of his chores was plowing fields behind a team of mules. When the sun is setting, as depicted in our logo, you are able to look back at what you have accomplished during the day. Many times, your only compensation was this feeling that you had done a good day’s work. Jim always believed if you haven’t done it by the time the sun sets, it is too late. People recognize our logo without having to read our sign, which is a big part of our success. Jim Berry Hill Country Ranch Sales, now in its 34th year, has grown into one of the most successful real estate brokerage companies in the Highland Lakes Area. However, we are not just a real estate brokerage company. We are an organization consisting of three highly qualified sales associates working together to accomplish our goal to be the most professional ranch brokers in the Hill Country. We do not take this goal lightly. It takes complete dedication from every member of this organization. The attitude of this firm is a direct reflection of its leadership. Hard work, dedication and professionalism are characteristics of every member of the team. It is also why we, as an organization, are constantly striving to get better.